RANGOON — “Our gifts shout your brand loud and make it visible,” said Ma May Mon Thu, founder of the Burmese start-up Mamper, which provides promotional materials. “We gift loud,” she said. But, what is a loud gift? The Mamper team won a young start-up award given by State Counselor Daw Aung San Suu Kyi at the country’s first entrepreneurship summit in October. As Burma began to open its economy in recent years, many start-ups—mostly founded by young repatriates—try to make a name for themselves in technology, restaurant chains, tourism, and creative firms. Two years ago, three young Burmese people living in three different countries had an idea that would challenge their home country’s booming entrepreneurship with something innovative and creative. Having worked for telecom firms in Bangkok, 26-year-old Ma May Mon Thu learned about how companies in Thailand provided unique promotional materials to their clients and partners. She noticed the lack of such a practice in Burma, while other neighboring countries had already gained significant ground in this business. Before establishing Mamper, she was a distributor of soft, rubber PVC key chains for a Thai company. She wanted to expand the idea of distributing ready-made items to customizing products to sell to companies in Burma. She first pitched the idea to her half cousin Ko Kyaw Htet Naing, who was living in Australia, and then teamed up with close friend Ko Pyi Soe Thein “Cedric” who had already returned to Burma from Singapore. “We had no idea how it would work out from the start as we were working in different countries,” Ma May Mon Thu recalled. First steps are usually rough. 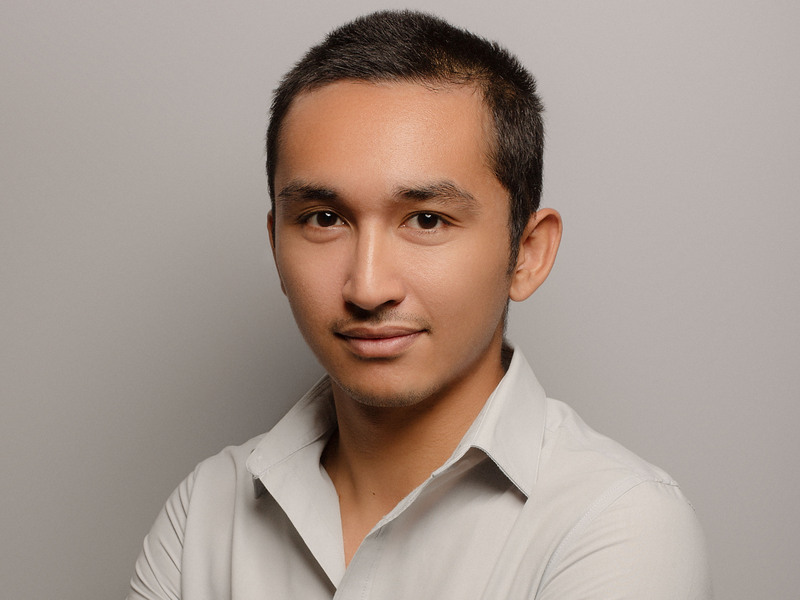 For Ko Aung Than Toe, the 28-year-old founder of the hotel booking website Lodggy, entrepreneurship was something he stumbled upon after graduation from medical school. Lodggy is an online booking platform developed by Burmese talent that features affordable hostels and guesthouses run by locals. “This gave me the idea to help bed and breakfasts have an online presence and also have Burmese travelers be able to book online without a credit or debit card,” Ko Aung Than Toe said. There are other international and local booking platforms that have some local presence, but they are more generalized and don’t understand Burma’s unique situation, he added. “As for Lodggy, we are a local start-up that understands the needs and challenges of our country and the people,” he said. According to a 2016 report by the Myanmar Young Entrepreneurs Association (MYEA), more than half of the entrepreneurs in the country are serial entrepreneurs who have founded more than one company and have financial backing from their families. The report said female entrepreneurs lead 46 percent of the surveyed 365 entrepreneurial businesses across the country. In its findings, the MYEA report stated that all entrepreneurial businesses surveyed faced difficulties getting capital or loans, and recruiting skilled workers. Only about 10 percent of the businesses received support from the government. In a country where nepotism was deeply rooted in the economy for decades—allowing only cronies and a group of elites with close ties to high-ranking officials to benefit from business opportunities—young entrepreneurs with no financial backing struggle to get into the game. “We don’t have strong financial backing. We’ve had to craft everything by ourselves with our own experience,” said Ko Kyaw Htet Naing, the executive director at Mamper. However, what gave Mamper the most difficulty was neither loans nor capital. It was convincing local companies that it was worth spending money on promotional materials and selling the concept of branding, the team told The Irrawaddy. “The value of the gifts that you give to your clients is directly proportional to the value you place on your brand,” said Cedric, the chief executive officer Mamper. If companies want clients to remember and value their brands, gifts should be useful and of good quality, he added. There is now a big logo printing industry in Burma, which provides promotional items—mostly t-shirts, key chains and umbrellas for local companies. Recently, some companies started gifting flash drives, mugs and notebooks with their logos. “We hope local companies challenge us to come up with custom designs instead of only having their current logo printed on prefabricated designs,” said Ko Kyaw Htet Naing. One of the biggest challenges facing Lodggy’s Ko Aung Than Toe is finding local talent. “The country lacks human resources after decades of isolation. Finding the right developers is the biggest headache,” said founder Ko Aung Than Toe, adding that finances are another obstacle. “The banking system will not extend loans without collateral and the more established investment firms here are more willing to invest in start-ups that are past their angel rounds,” he said. While young entrepreneurs try to make it, only a few of them manage to sustain. MYEA urged the government to adopt policy or legislation to empower entrepreneurial businesses in the country. Mamper’s team said sustainable entrepreneurship hinges on ethical work partnerships, trust from superiors, and goodwill. “We always have to put ourselves in customers’ shoes whenever we serve them. ‘Would I buy this?’ is a very important business concept,” Ko Kyaw Htet Naing said. “Goodwill is more effective than attractive design or cost,” Cedric said. Healthy relationships with customers are important for entrepreneurship, Lodggy’s Ko Aung Than Toe added.